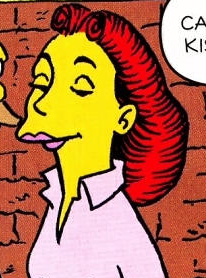 Lola Bonanza is an actress who dated Abe Simpson when he was young. Grampa left Lola when he went to war just after she had become famous for a kissing scene in the film, Doomed Love. Modified on August 15, 2014, at 17:28.